It’s a bunch of weirdos! It’s a cult! It’s a Mardi Gras parade! It’s all of the above. Welcome to the Intergalactic Krewe of Chewbacchus, one of Mardi Gras’ few walking parades and the only krewe “committed to saving the universe, one drunken nerd at a time.” Named for the roman god of wine and everyone’s favorite Wookie, Chewbacchus debuted during the 2011 Carnival season and has been stirring the pot ever since. You won’t see lumbering floats with far-away riders tossing generic beads during this parade. Instead, it’s all up close and oh-so-personal. For the months leading up to Carnival season, members hone their costumes and their hand-made throws (works of art in themselves). Some Chewbacchians even organize under a central theme—like the Barship Enterprise or Death Star Steppers, the Krewe of Uranus or Sith Happens—to become a subkrewe, the officially sanctioned Chewbacchus subgroups that populate the route. Despite the krewe’s obvious devotion to the realm of science fiction, it’s not confined there. Whatever is nerdy/geeky/dorky fits in just fine. 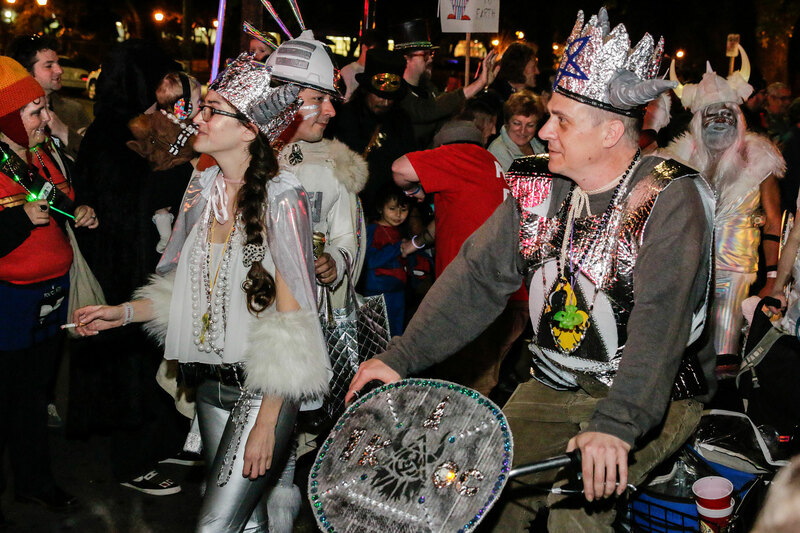 While most krewe members walk, some ride/push/roll their own created contraptions. But these aren’t just any set of wheels. They range from something as simple as a souped-up shopping cart (with the wheels replaced using heavy-duty casters to survive New Orleans streets) or something as avant-garde as a rolling human hamster wheel (with lights, of course). The Krewe of Chewbacchus boasts members from New Orleans and beyond (word is still out if members are confined to this planet). $42 gets you a one-year membership and marching rites. For an additional $42 you can become an Ordained Minister in the Cult of the Sacred Drunken Wookie because Chewbacchus is also a registered religion with 501c3 status. 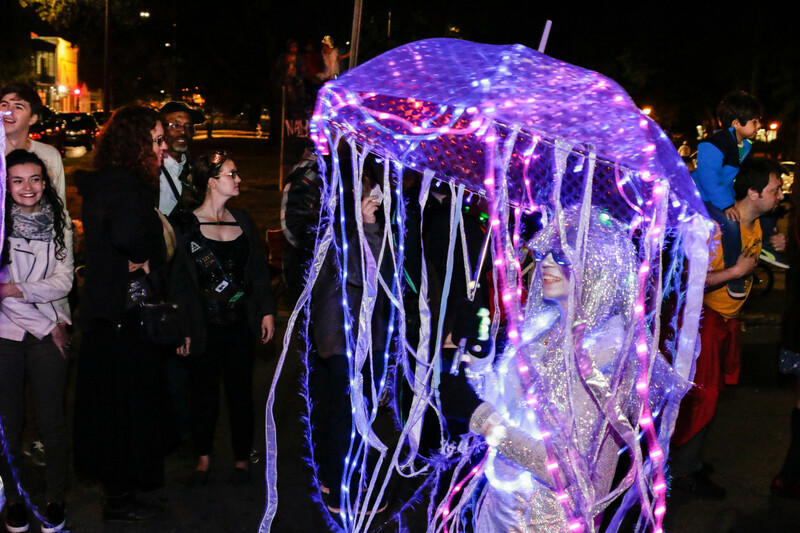 If you’re hankering to do more than watch a Mardi Gras parade this year, then embrace your weird and head on out to the Bywater. The 2019 parade rolls Feb. 9 at 7 p.m. Day-of memberships are open until 4 p.m. You must have a Droid collar to ride, errr, walk.